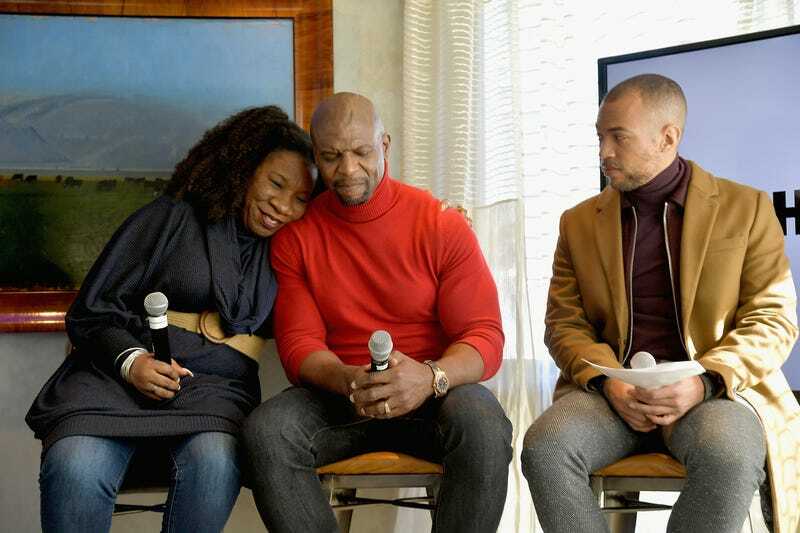 (L-R) Founder of the Me Too movement Tarana Burke, and actors Terry Crews and Kendrick Sampson speak on the HBO Me Too Panel at Sundance 2019 at Tupelo on January 26, 2019 in Park City, Utah. In the recent rush to bring sexual predators to justice, the survivors of sexual violence are often lost in the shuffle of debates, rhetoric and sensationalism that ensues. But the Me Too movement, founded by Tarana Burke in 2006, has always placed survivors front and center of any discussions of sexual violence, and on Monday, the movement debuted a new series of PSAs that refocus our attention where it belongs. Created in partnership with creative agency Deutsch, with support from agencies Steelhead, Hornet, Elastic, Psyop and We Are Royale, the four animated shorts debuted at the 2019 Sundance Film Festival and are narrated by actual survivors, including actor and former NFL player Terry Crews, survivor and activist Emily Waters, domestic worker turned activist Daniela Contreras, and an anonymous survivor. The message? “We hear you. We see you. We believe you.” And most important, it makes clear that there is healing and purpose to be found on the other side of the pain. Burke’s stated vision for Me Too has always been “empowerment through empathy.” This moving series of PSAs drives home the point that sexual violence affects all ages, races, genders and socioeconomic demographics—and that all deserve a voice, a platform, and justice.